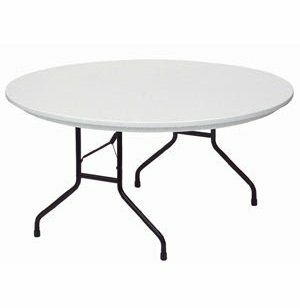 Round Classic Top Folding Table 60"
This durable Plastic Resin Folding Table is very light and priced just right! A folding table with a blow-molded resin top that is exceptionally light, yet remarkably solid and stable. The secret? 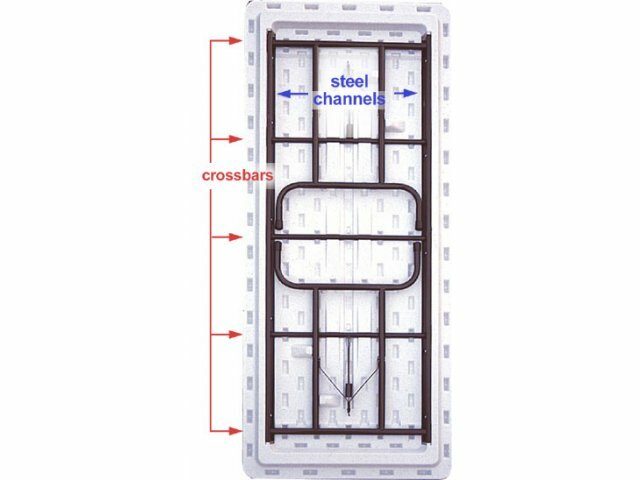 Five cross bars underneath the folding table provide extra strength and support. A lighter weight table means easier handling. 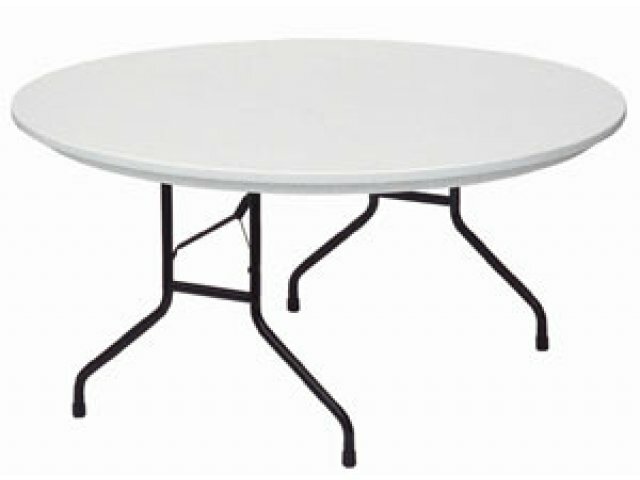 Folding tables of all shapes and sizes have been Correll's forte for almost forty years. A seemingly limitless choice of sizes, heights and colors makes Correll's tables a top choice for educational, office and institutional use. Blow-molded plastic is made by blowing resin into a mold resulting in a lightweight, easy to clean, durable material. Waterproof and virtually indestructible one-piece Blow-Molded Plastic Top resists damage even from gasoline, paint remover, and battery acid. Permanent marker and paint can be removed without damage. Surface is rock hard yet smooth enough to write on.